Our medical grade High Intensity Focused Ultrasound (HIFU) device, Ultraformer III provides non-invasive treatments to lift and tighten loose skin on the face, neck and body using ultrasound technology, it can also be adopted to improve skin laxity and tone on the décolletage, jawline and post pregnancy stomach 'mummy tummy'. As we mature, the muscles and fat pads start to migrate down the face. This can have a very ageing effect and can make us look tired and sad. This process can start from as early as our late twenties, and can continue to take effect not only on our face but all over the body. With this high tech yet simple, non-surgical treatment, you can ease the visible effects of ageing and rejuvenate the appearance of your facial structure and features in quick and easy treatments that last. Call our London based Harley Street Clinic for a HIFU treatment consultation. 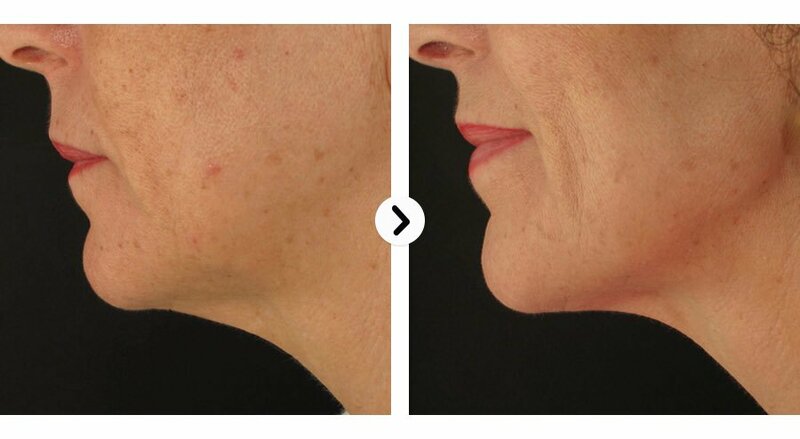 Ultraformer III uses High Intensity Focused Ultrasound (HIFU) to heat targeted areas, creating a coagulating effect to the deeper layers of the skin, these are the layers a surgeon would usually pull and tighten in a surgical face lift procedure, but without the risks associated with surgery. The results from the first HIFU treatment is an immediate visible tightening and lifting effect, the treatment continues to work for several months, further stimulating collagen production. Patients will see long lasting lifting and tightening and a reduction of facial lines and wrinkles for some time after the session.The strictly focused application means that results are even, there will be no visible manifestations on the skin’s surface after the procedure, only the lifting and tightening effects will be visible. As well as changing the intensity of the settings, our aestheticians can control the depth that the device delivers the energy. Ranging from 1.5mm-13mm, we can treat on both a superficial level, and a much deeper level for varying results, depending on the individual concerns and indications of each and every patient. The Ultrafomer's new MF2 cartridge allows our aestheticians to treat difficult to reach areas, such as around the eyes. Pain ranges from no discomfort, to mild and moderate depending on treatment depth. None, HIFU is known as your lunch-time face lift! Can it treat around the eyes? Yes with the new slim MF2 cartridge we can treat more difficult to reach areas, including the eyes. (TREATMENT INTERVALS 2-4 WEEKS) BUY 4 GET 1 FREE.